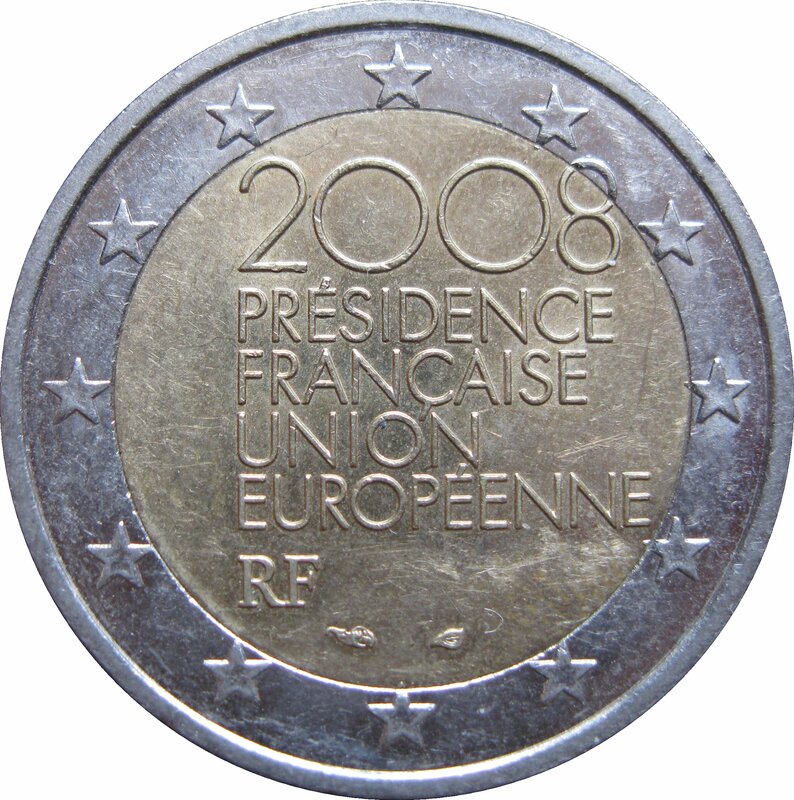 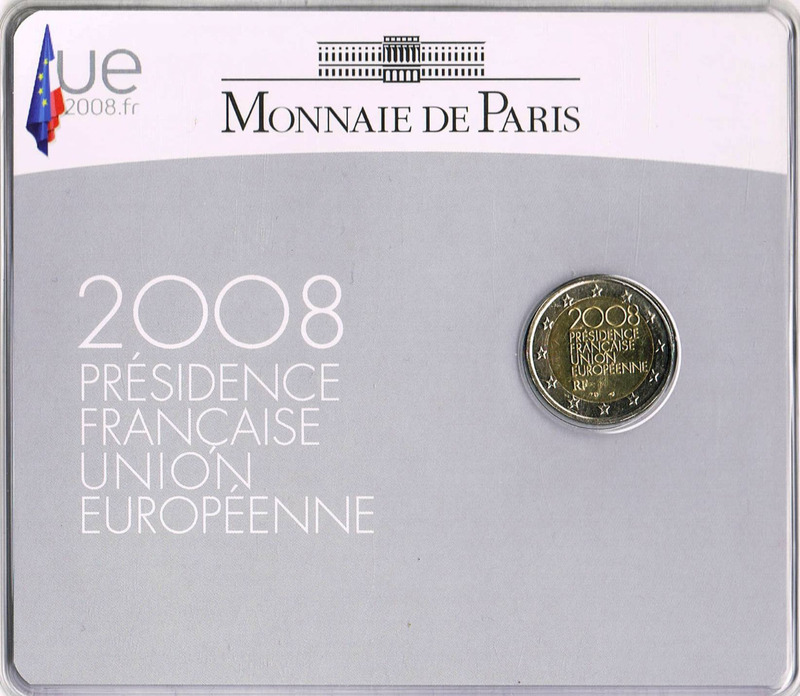 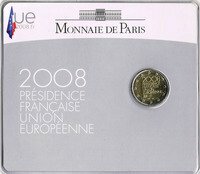 The coin is inscribed as follows: ‘2008 PRÉSIDENCE FRANÇAISE UNION EUROPÉENNE RF’. 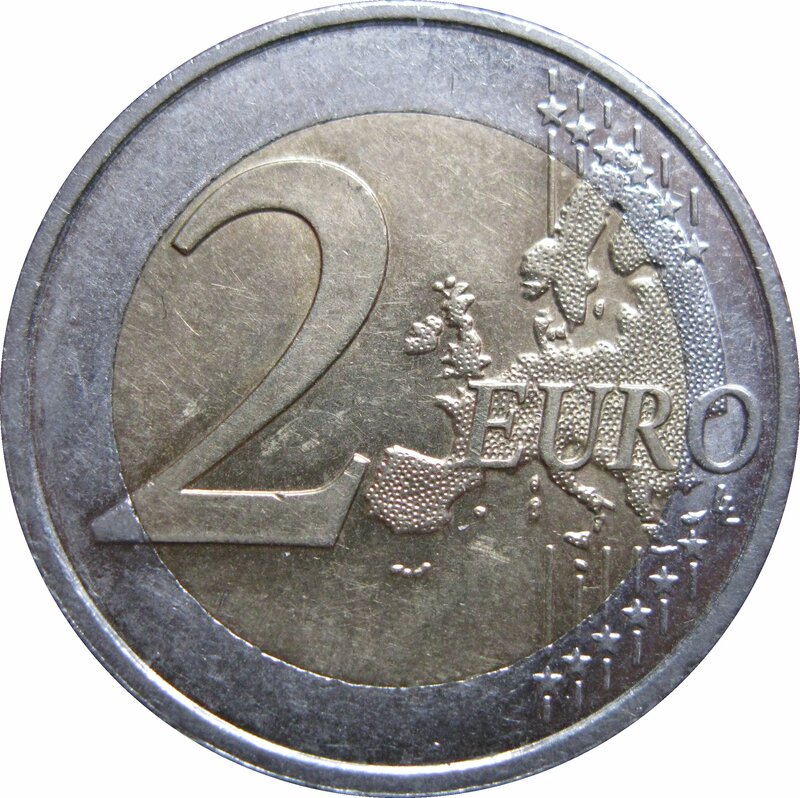 The mint mark and the mintmaster's mark are located below, to the left and the right respectively. 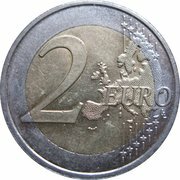 The 12 stars of the European Union are shown on the outer ring. 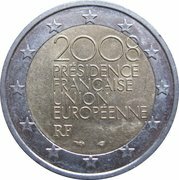 Philippe Starck is a French designer known since the start of his career in the 1980s for his interior, product, industrial and architectural design including furniture and objects that have a simple but inventive structures.